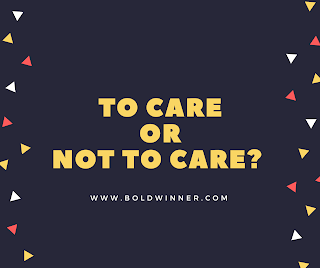 An insight today while looking on the mirror inspired me to write this blog post on why you have to care. And I hope it doesn't end up as one of those motivational articles online, but rather inspires you to act right. Today, I took a long look at myself in the mirror. I haven't done this is a long while as I have let myself become so caught up in my daily activities. So I was pretty surprised at the changes I noticed. My hair had become less dark in color, coily and quite rough. This was new because I know how my hair normally looked. I realized that I hadn't really been paying good attention to my hair for a while now and that's why it decided to grow and look the way it wanted. What has happened? I stopped caring for my hair the way I used to. This is very important to take note of. My hair won't continue looking all nice, awesome and well taken care of if I don't care about it enough through appropriate planning and required action. In the name of running away from stress, many of us have built a character of indiscipline, laziness and never going the extra mile. In today's blog post, I'll give you a fresh perspective on why stress can be a good thing for you. A lot of us easily run away from things because they appear stressful. They look too tedious and so we can't just handle it. We will prefer to take on things that are much more easier to handle. Maybe you got a chance to take on a wonderful opportunity that will require you to wake up say an hour earlier than you normally do. This opportunity will open doors for you in the long run. But because you feel inconvenienced and won't like to wake up earlier than your normal time, you call it stressful. Maybe you have to hit the gym and exercise your body for at least 30 mins so that you can make progress with your fitness goals. But 30 mins is too long. You do say 5mins and you go home because working out for 30 mins looks very stressful. 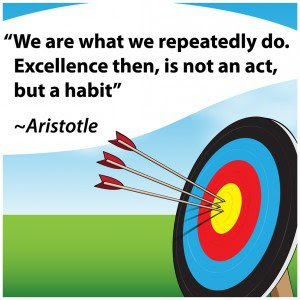 Many atimes, we usually don't notice the power of repetition and the indispensable role that it plays in our daily lives. You see, when you do something over and over again, it starts becoming a lot more easier to do and with time it becomes am automatic process where you don't feel any stress doing it. I remember sometime ago, I was walking up the stairs of a building where I lived with a friend of mine who was visiting me for the first time. I was leading the way and in a very short time, I was at the topmost floor while my friend was still lagging behind. When he got to the topmost floor looking quite stressed, he exclaimed: "Nigel, how do you manage to climb up and down these stairs everyday?" "It's tiring", he added. I smiled, looked at him and said, "It's because I'm used to it and you're not". I have looked around me and I've seen that one of the strongest motivating factors for a man to cheat on his wife or his lover is the inability of the woman involved to provide for herself. In other words, the woman is constantly dependent on the man to provide even the most basic things for her. This kind of woman is more like a liability to the man involved and he feels that he has a right to cheat on her given that the woman doesn't really have much to offer him but her incessant demands. This is what has spurred me to write today's blog message to the wise modern woman.